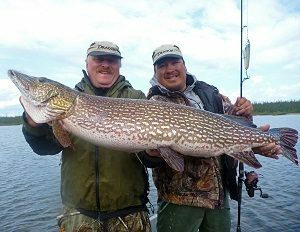 Arctic Lodges has grown famous for its Trophy Northern Pike Fishing. 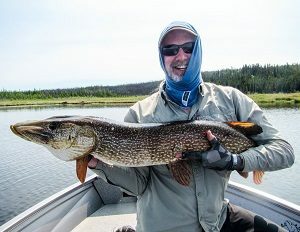 Almost all guests will catch a “Master Angler” Northern Pike, with many more catching Pike over 45” mark and bigger. Each year quite a few anglers are fortunate enough to bring fish ranging from 48” to the low 50’s”! 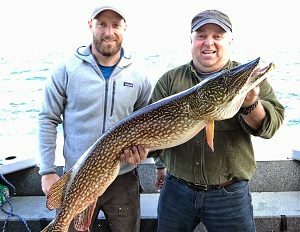 Experience the best northern pike fishing in the world. Reindeer Lake’s pike habitat has an abundant amount of crystal clear arctic waters and endless amounts of weedy shoreline, breeding multitudes of hungry record size fish. The only lure most areas will see all year long is your own. 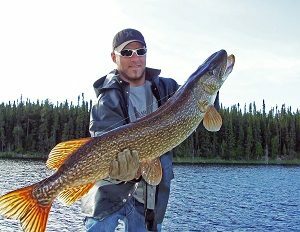 Chances of catching trophy sized Northern Pike is extremely likely, if not a handful of them during your stay. 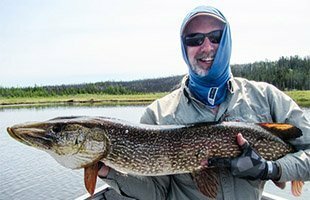 Fishing patterns change throughout the season, although trophy pike are widely available all year. 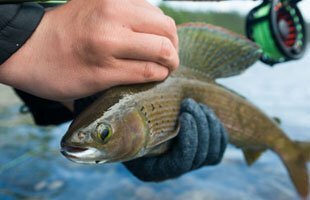 You don’t have to be an experienced angler to catch multiple trophies and average around 60-100 fish a day. The Northern Pikes latin name, Esox Lucius, translates to water wolf, an obvious reference to the predatory habits of this fish as they have great hunting skills. They typically ambush their prey attacking out of nowhere, usually striking from the side and will literally feed on anything, even their own. 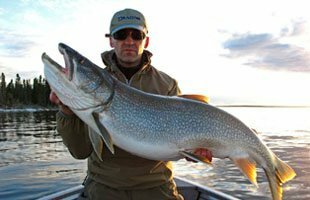 Due to the colder waters of Reindeer Lake, Northern Pike and other fish typically live longer than in the south. 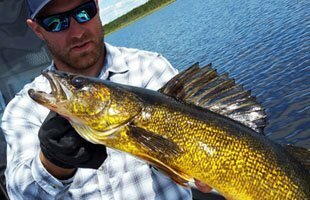 With the lake’s vast size, endless amounts of weedy shoreline and Reindeer’s catch and release policy, Arctic Lodges provides some of the best Northern Pike fishing in the world.